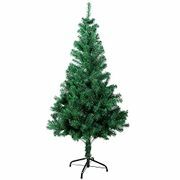 Shop and plan for your Christmas tree as early as now and have a stress-free holiday. Aside from avoiding the rush and delays, you also get to find the best options at their cheapest price. Shop from a variety of Christmas tree options such as pine, fibre optic, or tinsel; pre-lit or bare ones, from tall ones to cute ones. We've gathered the best deals and special offers from John Lewis, Studio, Homebase, Wilko, B&Q, Argos, and Marks & Spencer. Get them delivered for free or save up to 50% off when you use voucher codes on your online purchase. January - The Best Time to Buy a Christmas Tree CHEAP at John Lewis !